Our Triangle Wooden Planters, designed by us in the UK, will make a great addition to an outside space, ideal for planting flowers, shrubs or even herbs, salad and vegetables. Our exclusive triangle planters are made using high quality scandinavian timber sourced from sustainably managed forests. The wooden planks are high pressure treated with a safe wood preserve and come with a 4 year structural guarantee. 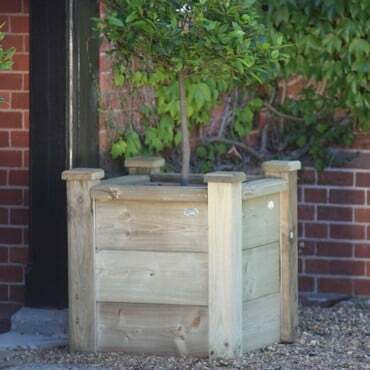 The planters measure 122cm x 122cm x 172cm and are available in 3 different heights - 0.2m, 0.4m and 0.6m. 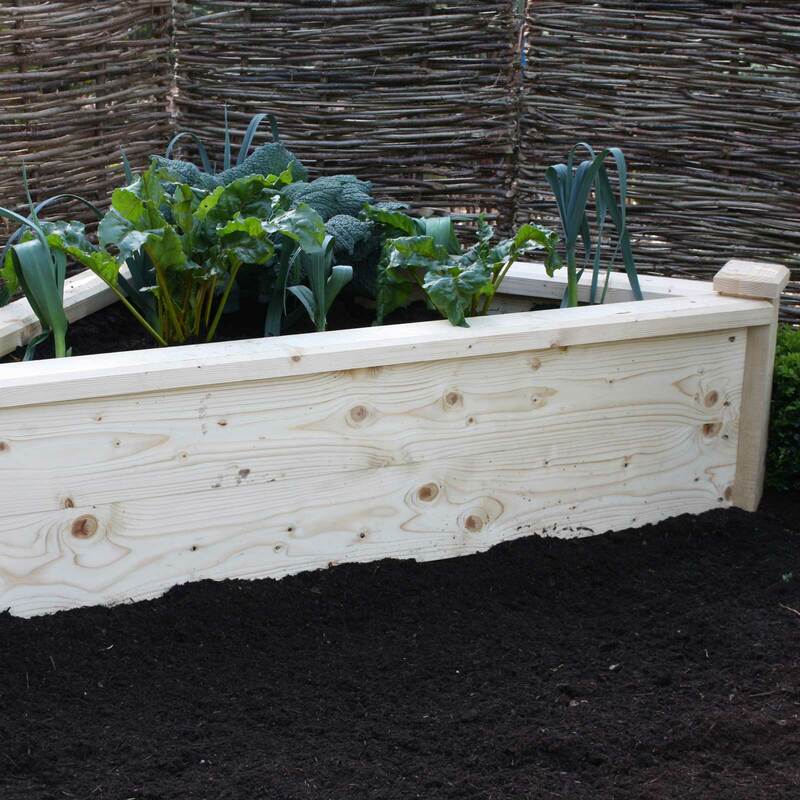 The chunky planks are 20cm high and 3.5cm thick and corner posts measure 10cm square and give the bed extra rigidity. 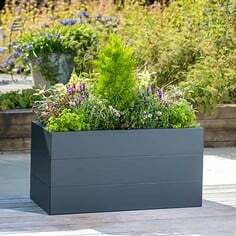 The planters have chunky capping which really complete the look of the planter and can double up as a seat. 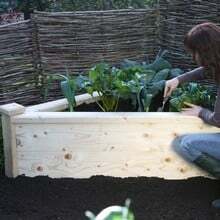 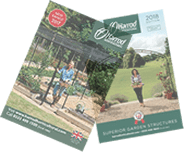 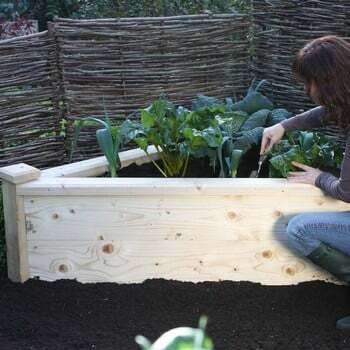 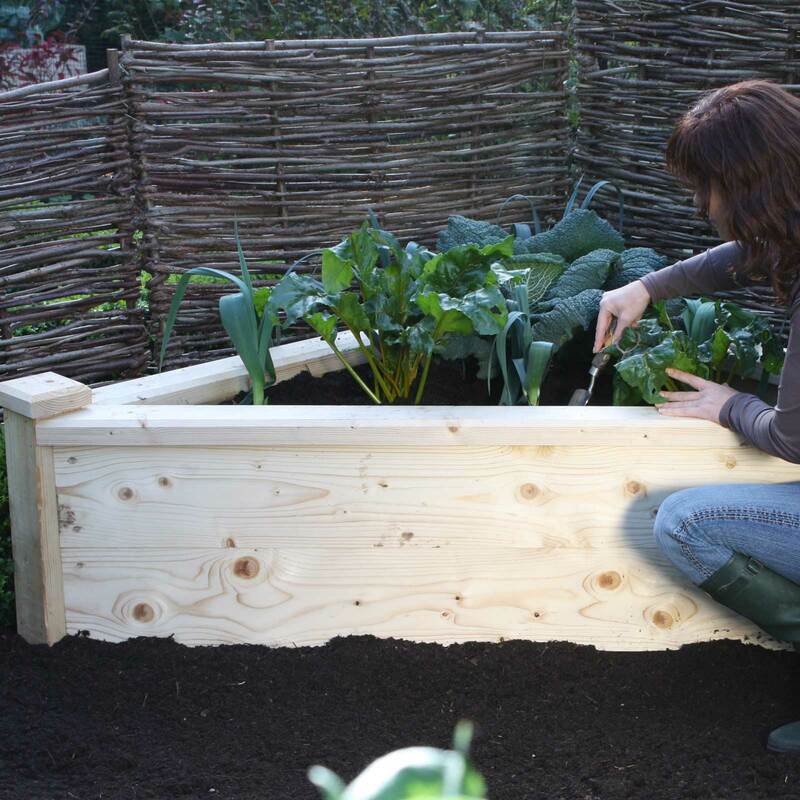 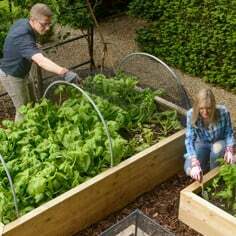 The planter is supplied as a kit for self assembly including planks, corner posts, capping, aluminium brackets, stainless steel screws and full instructions. 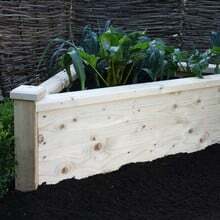 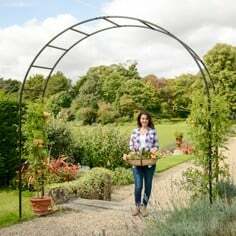 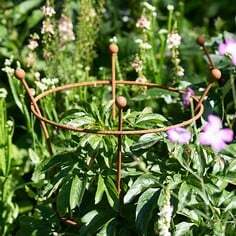 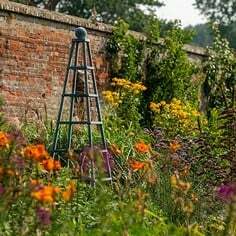 The trianglular design is ideal for any corner in the garden and will look fantastic planted up with colourful flowers. 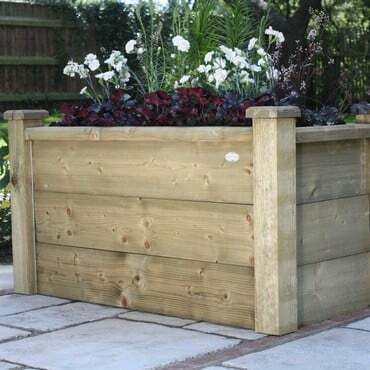 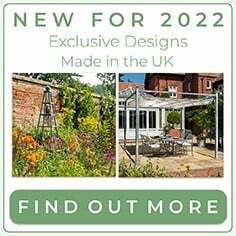 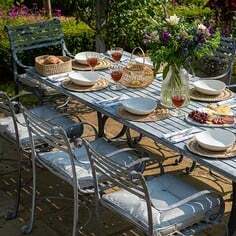 The planter does not have a base so we would suggest using on open ground, if placing on the patio or decking please be aware that soil and mosture may leach out of the bottom of the bed.